InSites Upgrades Shopping Malls into Smart Buildings. Discover, navigate and connect with shop around you with InSite’s indoor navigation app. InSites transforms shopping experience by creating an interactive navigation app for shopping malls. Consumers are granted with the digital guidance to explore and navigate around, discover discounts and share their indoor experience with other visitors . As for the retailers? InSites is offering them with an analytical tool to reach their customers personally and directly. 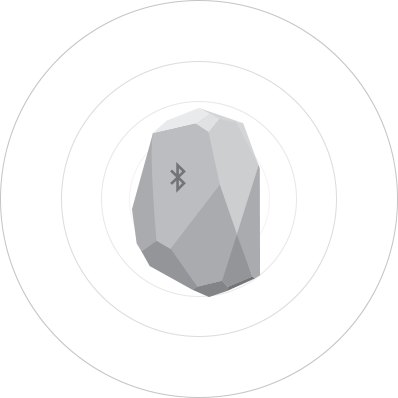 Based on a bluetooth low-energy beacons technology, InSites provides an accurate indoor navigation in the shopping malls, and enhances shops, products and nearby content discovery. The customers preferences and behavior patterns are collected and analyzed to enable the most targeted and personal advertisement from the side of the retailers and the mall management. 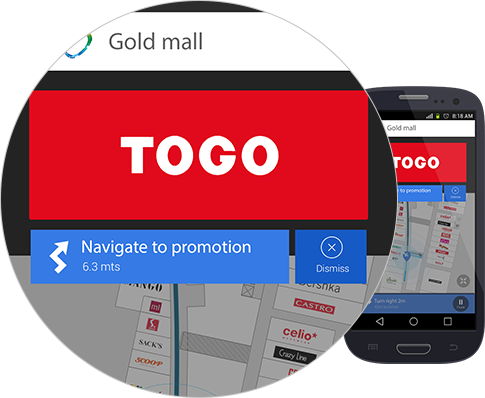 Shops and brands have the ability to launch location-based mobile ads based on consumers preferences and profiles. Discovering and navigating directly and smoothly to any event or special sale in the site. Beacons are gathering consumers behavioral information that is being analyzed and used to increase advertising effect. Step by step guidance navigation including time, distance and steps information. Notifies about discounts at the consumer's favorite shops and restaurants when near by. Enables sharing and discovering of visitors recommendations and public events in the site. Offers targeted advertising, coupons and membership clubs. InSites uses an infrastructure bluetooth low-energy devices. Specific contact and services information for each shop and point of interest. Persons who supply us with their telephone and/or cellular numbers online may receive telephone or cellular contact from us with information regarding new products, services or upcoming events. If you do not wish to receive such telephone calls or sms, please let us know by sending us an email at the above address. Please provide us with your name and phone number. We will be sure your name is removed from the list we share with other organizations. From time to time, we may use customer information for new uses not previously disclosed in our privacy notice. Pitch will update this policy from time to time. To keep up-to-date with yalla ya!’s policy, please check this page periodically.